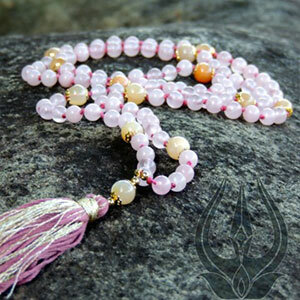 Lalita Tripurasundari, she who is lovely in all three worlds, is known in the Tantric tradition to be the Goddess of sensual desire… the motivating force of creation. 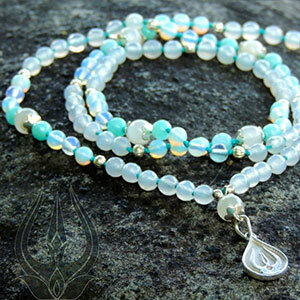 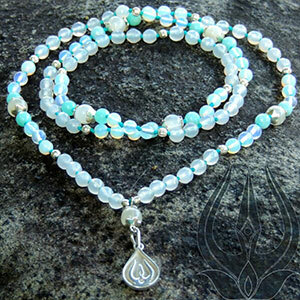 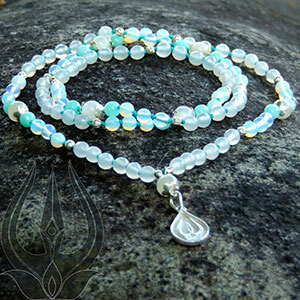 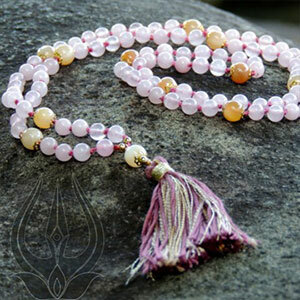 This equisite Mālā is made with a playful combination of small and larger fasceted agatha, rose quartz, opaque quartz, moonstone, conche and silver ornaments. 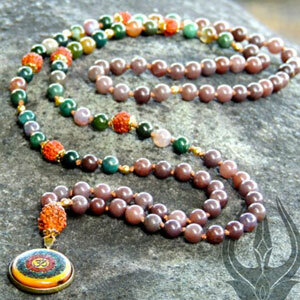 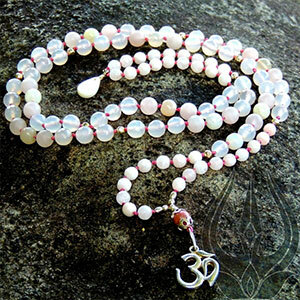 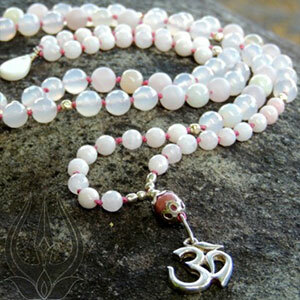 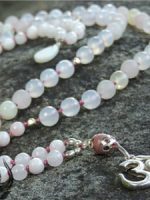 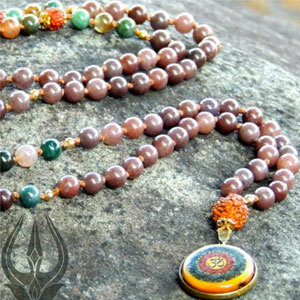 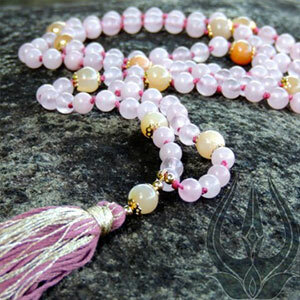 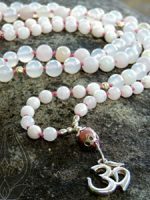 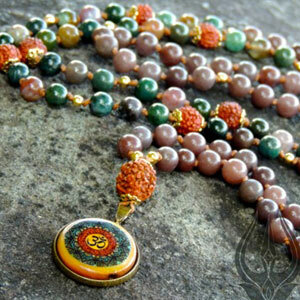 The Guru bead is a beautiful deep rose tone Rhodochrosite followed by a large silver OM pendant. 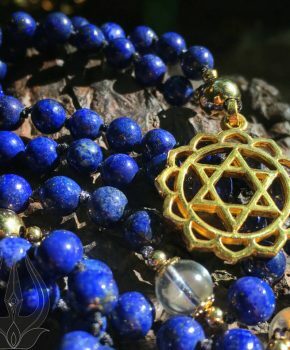 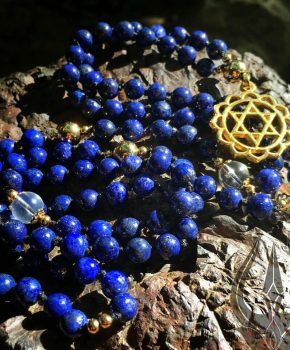 Send me a message if you would like to order this unique piece.